During his February 5, 2014 appearance at a House Energy and Commerce Committee hearing, Food and Drug Administration (FDA) Deputy Commissioner Michael Taylor stated that “the whole goal of [the Food Safety Modernization Act (FSMA)] is to achieve the food safety goal without imposing regulations, just for the sake of regulation.” Dr. Taylor must have been unaware of his agency’s proposal to require that brewers, distillers, and vintners develop extensive hazard analysis and control plans before selling or donating their spent grains or grape pomace to farmers for livestock feed. This proposal seems to be the epitome of regulating for the sake of regulating. Farmers have been procuring and feeding their livestock spent brewing grains and grapes for centuries. These livestock “happy hour” arrangements advance environmental sustainability, engender bonds among local businesses, and financially benefit both parties. Farmers get low cost whole grain feed packed with fiber, protein, and, of particular importance to livestock in arid climates, moisture. Alcohol makers save millions by not having to landfill the by-products. FSMA Section 116 exempts activities at facilities which “relateto the manufacturing, processing, packing, or holding of alcoholic beverages.” In a proposed animal food safety regulation, FDA essentially nullifies this statutory exemption. 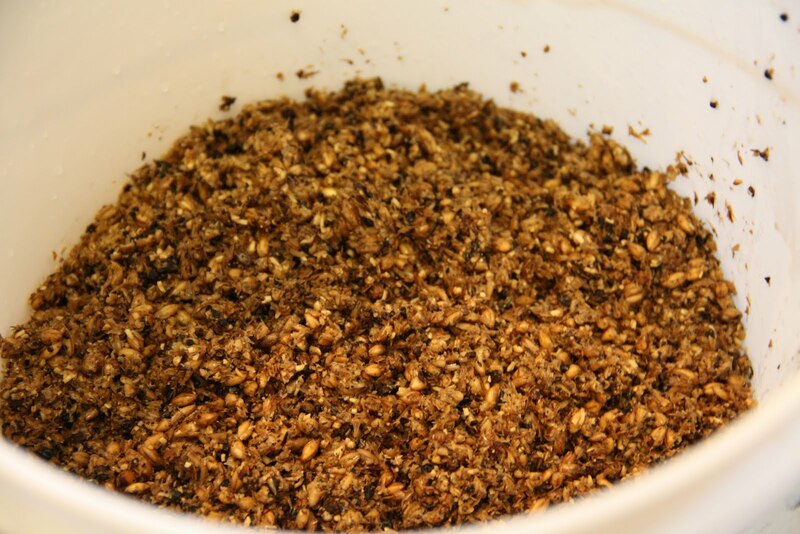 The agency “tentatively concludes” that when brewers or distillers go through the “mashing” process—soaking grains in hot water—and then offer the by-product to farmers, they suddenly become food producers. The same goes for winemakers and their grape pomace. FDA’s conclusion has sparked a deserved firestorm of opposition from the affected industries as well as members of Congress. Mass production and craft brewers, distillers, vintners, and farmers have urged FDA to reconsider. Members of Congress across the political and geographical spectrum have also spoken out, and FDA Commissioner Hamburg has been grilled about spent grains at appropriations hearings. While Congress is justifiably upset about this proposal’s impact on constituents, Senators and Representatives should also be troubled by FDA’s blatant disregard of the explicit wording and purpose of FSMA. Alcohol producers are not making animal feed as part of their commercial ventures. Spent grains and grape pomace are, as FSMA § 116 states “relate[d] to the manufacturing . . . of alcoholic beverages.” If those grains and grapes are not exempt from FSMA after being heated or crushed, there is no logical reason why such pre-processed raw materials would be exempt. In that case, as one public comment posited, FDA has struck “the words ‘manufacturing’ and ‘processing’ from the FSMA’s beverage alcohol exemptions.” FDA lacks authority to amend statutes, a constitutional reality which exposes the FSMA regulation, if finalized as it is currently drafted, to federal court challenge. Congress passed FSMA to address actual, not speculative, risks to food safety. FDA did not offer any data or anecdotal evidence to support its precautionary requirements, nor can it, because none exist. The raw materials which alcohol makers utilize, as well as the entire brewing/distilling process, are already subject to extensive regulation. Because it would eliminate little, if any, additional risk, FDA’s proposal would flunk any formal cost-benefit analysis, if one had actually been done. To sum up, FDA is overstepping its constitutional authority to impose unnecessary controls on a centuries-old, local, safe, and environmentally sustainable practice which financially benefits all parties involved. That sounds like the kind of practice the current (or any) administration would whole-heartedly support. So why is FDA having a cow over spent alcohol grains and crushed grapes? Perhaps, as the agency is wont to do, FDA is trying to extend its regulatory turf. Other signals exist to support this notion, including FDA’s move against caffeinated alcoholic beverages and the ten pages it devoted to fermented products in its proposed update of nutrition labels. We should all hope that is not the case. FDA already labors to keep up with its clearly defined responsibilities—struggles which can be life-threatening. It need not add protecting livestock from phantom risks to its overweight agenda. Or is this simply another example of hammer-wielding regulators seeing a nail, and reflexively striking? If so, now would be a good time for FDA to embrace the concept of regulatory humility. The agency’s leaders must take a step back, think about the tens of millions in wasted costs and lost opportunities its requirements will impose, and admit that FDA’s “tentative conclusion” about spent grains is mistaken. Commissioner Hamburg’s statement to Senate Committee on Appropriations members that “there are sensible, reasonable solutions and we’re committed to working toward those,” gives us some hope that humility and reason might yet prevail at FDA.